DID YOU KNOW? As much as half of the energy used in your home goes to heating and cooling. 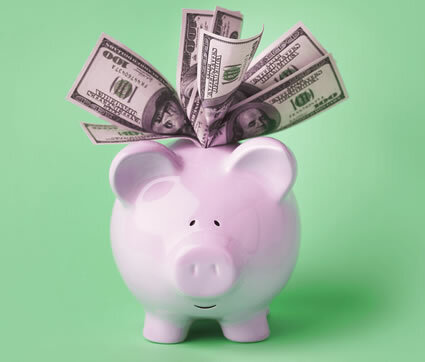 Making smart decisions about your Dayton, Columbus or Cincinnati home's heating, ventilation, and air conditioning system can have a big effect on your bill! Turn your thermostat up to 78 degrees (or as high as you can while still feeling comfortable) and turn on ceiling fans in the rooms you use the most. Consider programming your system to set to a slightly higher temperature while you are away. Your cooling system will operate less and use less energy. When you make this adjustment on your water heater, it won’t have to work so hard. Setting it to a lower temperature will save energy, while still keeping the water warm enough for home use. According to ENERGY STAR, washing clothes in cold water will save you approximately $40 a year with an electric water heater and about $30 a year with a gas water heater. Get outside and make frequent use of your grill this summer! Everytime you use your oven, extra heat is generated within your home, which causes your cooling system to work harder to keep you comfortable. Doing so can reduce your hot water consumption by as much as 10% over regular showerheads. Switch to compact fluorescent light bulbs. Even though they cost a little more upfront, you can save money over the life of a bulb. Seal up holes to the outside by weather-stripping doors and sealing windows and gaps along the home’s foundation. The most cost-effective way to insulate your home is to add insulation in the attic, unfinished basement walls, and crawlspaces. When insulation is correctly installed AND the home is totally weatherized, the average home can see a savings of up to 20% of your heating and cooling costs! Ready to upgrade your HVAC system? Learn how much you can improve your HVAC efficiency and sign up for a FREE in-home estimate today!